Steeped in state history and beset by the Sacramento River, Redding has since 1844 existed as the deserving home of satisfied locals. 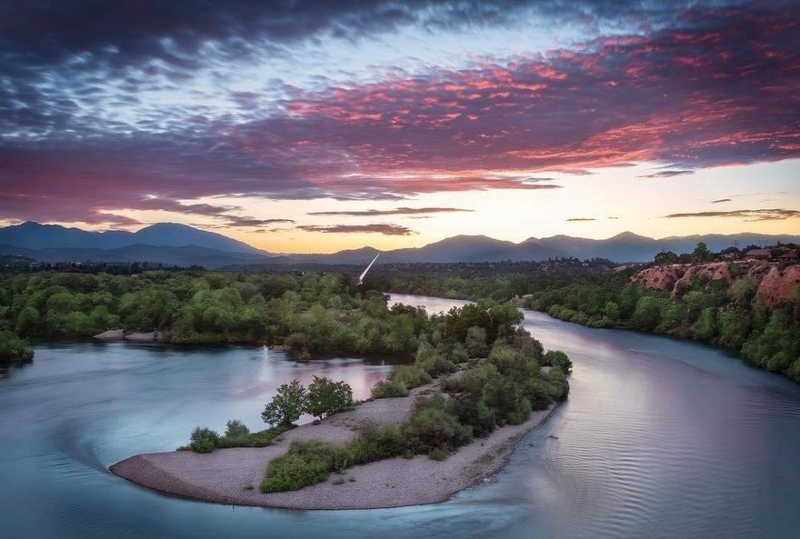 Since first inhabited by Wintu Native Americans, Redding has plays host to a wide variety of outdoor recreation and a near-perfect climate. Modern Redding offers you access to a wide variety of sights and sounds, including Turtle Bay Exploration Park and awe-inspiring botanical gardens. 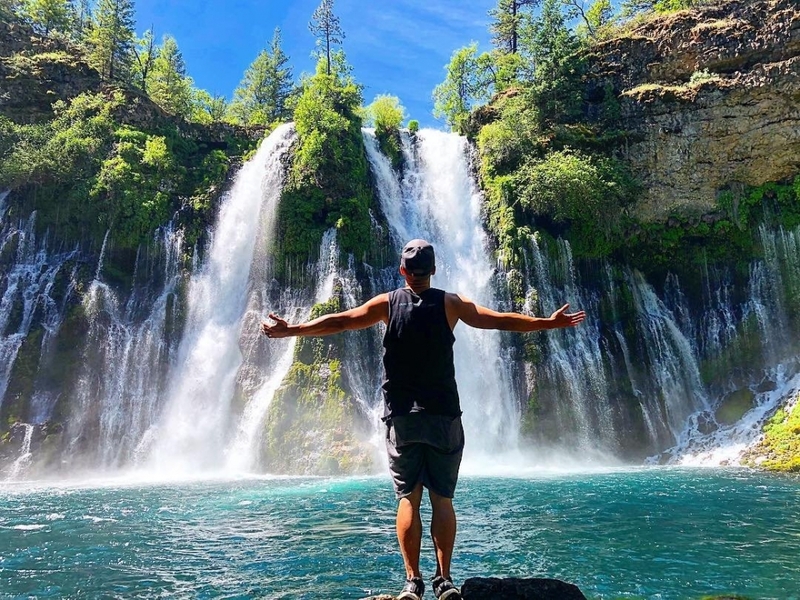 Cross off these verified Redding staples whenever you find yourself nearby, 7 bucket list items in Northern California you need to experience for yourself! 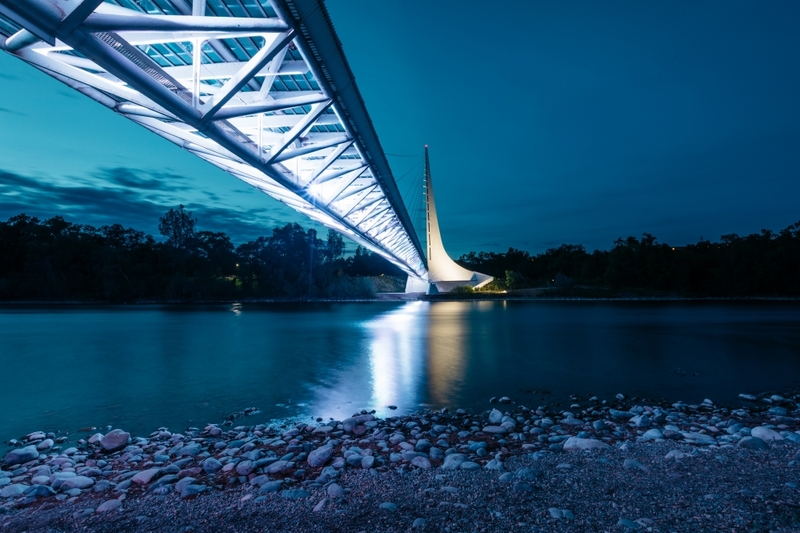 Equal parts recreational endeavor and functional timepiece, the Sundial Bridge in Redding is a must-see local attraction. Stayed with cables and spanning the entirety of the Sacramento River, this architectural construct was ultimately completed after planning in 2004 and has since drawn in locals and visitors alike, as much for its aesthetic beauty as for its offered perspective of the waters below you. Since it first debuted, the bridge has become an unofficial symbol for the city itself and provides local explorers with access to landmark attractions like Turtle Bay Exploration Park and the nearby McConnell Arboretum and Gardens. To form the sundial, the tower’s premiere tower forms an index, that indicates the position of due north. A shadow is cast on the tower during the day, creating an accurate portrayal of a working, functioning sundial. Given its size, you can actually identify the Earth’s rotational progress, whenever you visit during daytime hours. Photo courtesy of Seth McGaha at Turtle Bay Exploration Park. 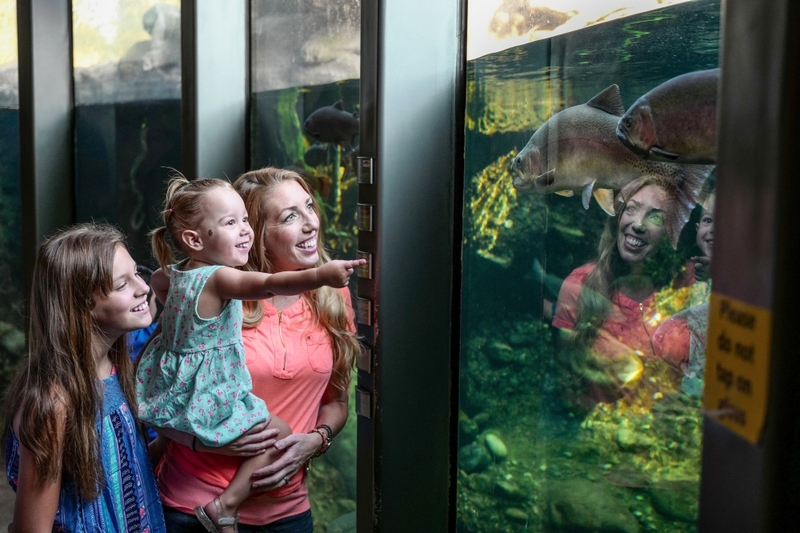 Located in close proximity to Redding’s Sundial Bridge, the Turtle Bay Exploration Park deservingly serves as an educational opportunity and chance for marine exploration, all rolled into one. The perfect day or evening outing for the entire family, the park itself is renowned for popularity and ease of access. Roughly 300 acres in total space and home to a wide variety of onsite exhibits, you’ll find that the Turtle Bay Exploration Park itself is entirely worth the investment. Arrive at the Turtle Bay Exploration Park via the Sundial Bridge, before checking out their associated museum, where educational opportunities await the entire family. Afterward, venture through the wildlife center at a pace most conducive to your own enjoyment, and identify flora and fauna alike outside in the botanical garden. Take advantage of immersive, live animal programs at this non-profit endeavor in Redding. 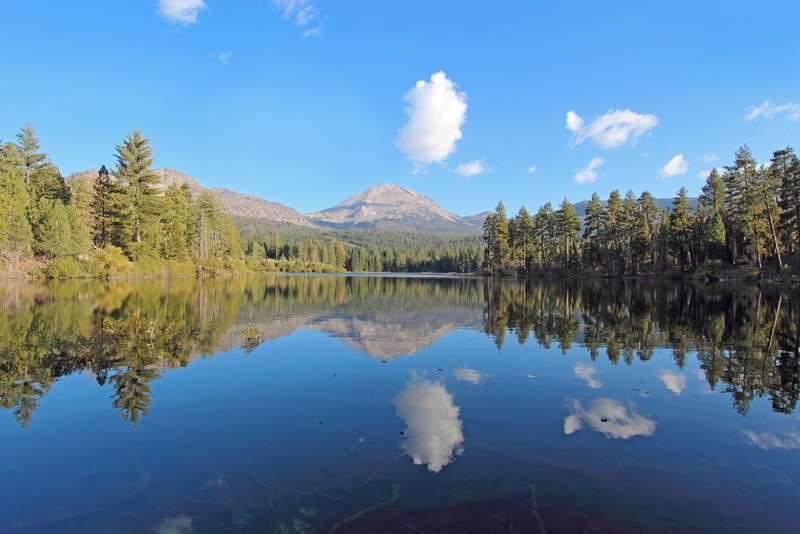 View of Lassen Peak from Manzanita Lake. One of the largely unsung national parks that graces Northern California, Lassen Volcanic National Park is a hub for hydro-thermal resources, together with all of the awe-inspiring views that you and the family are looking to take home. Choose from a verified portfolio of deserving recreational endeavors, whether you’re in the mood for some high-altitude hiking, exploration across lava rocks, or walks around expansive lakes. Reach the summit of Lassen Peak Volcano for a reward of uninterrupted panoramas of sweeping, natural landscapes below. Glass-like, reflective lake surfaces make for optimal photo and adventuring opportunities alike. Take advantage of the seasonally-open Bumpass Hell Trail, to slip in between neighboring peaks for even more world-class flora and fauna. And stay on the lookout for so many of the plant and animal species that typify park grounds, including mule deer, black bear, peregrine falcon, red fir and mountain chickadee. Take the entire family outside for a day of water-filled fun, the ideal weapon against seasonally warm temperatures. Boredom-busting rides and water activities make for hours of enjoyment, at WaterWorks Park in Redding. 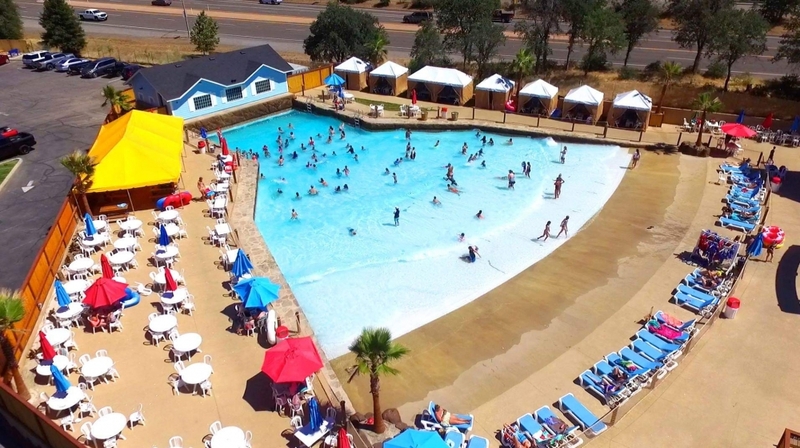 Since 1985, WaterWorks Park in Redding has served both locals and visitors alike as one of the region’s premier amusement parks, and its recent innovations have kept it ahead of the curve with regard to the preferences of the modern traveler. Join WaterWorks Park for a day of relaxation or adrenaline-inducing thrills, especially for families with smaller children. Take full advantage of any one of the slides, relax and let the current take you for a ride along the location’s lazy river or spend the day by Cowabunga Beach, the wave pool is the newest addition to the park. Right off of Highway 299, WaterWorks Park in Redding is the easy solution to a hot, summer day. Buy individual tickets to bring the entire family along for a day of fun, or come back time and time again with the luxury of season passes. A comfortable-looking museum in Redding, this abode is steeped in rich local history, from humble origins as a former judge’s estate. Victorian furnishings and well-lit spaces remain virtually untouched, and with constant upkeep, the Eaton House Museum is a wonderful introductory measure into all of the cultures that make Redding itself the historic gem that it is. 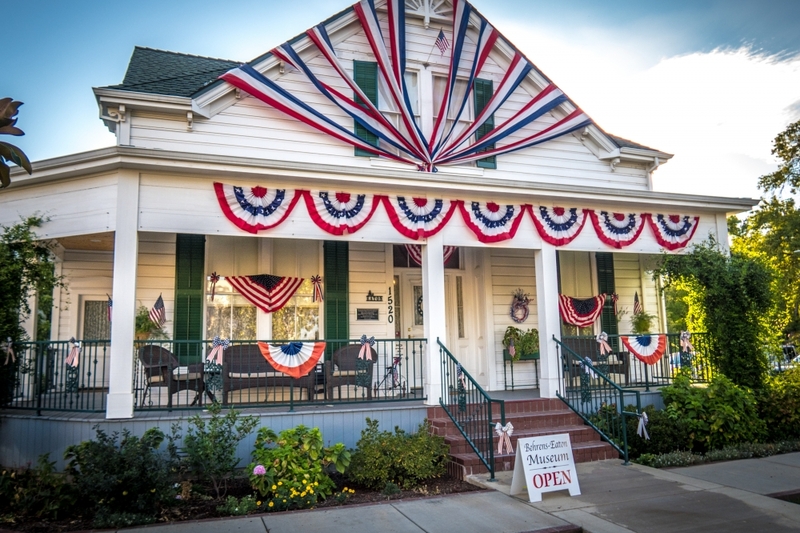 Officially the Behrens-Eaton House Museum but known locally as the Eaton House Museum, this establishment offers you the chance to partake in authentic Redding history. Admission is free for all visitors, although donations are accepted toward upkeep of the house itself. Once the proud abode of Judge Richard Behrens Eaton, who passed in 2003 and designated the residence for museum purposes, the house first became the Behrens family residence in 1899. Consider this your invitation to learn more about the natural and anthropologic history of Redding, at the Eaton House Museum. Take confidently to the Redding outdoors, whenever you elect to venture along the Sacramento River Trail. Renowned by many locals as the absolute favorite outdoor trail in all of the Golden State, this 12.27-mile adventure offers hiking and biking opportunities alike. You’ll also notice a healthy share of fishermen who decorate the side of the path of a seasonal basis, well indicative of the easygoing pace of the trail itself. 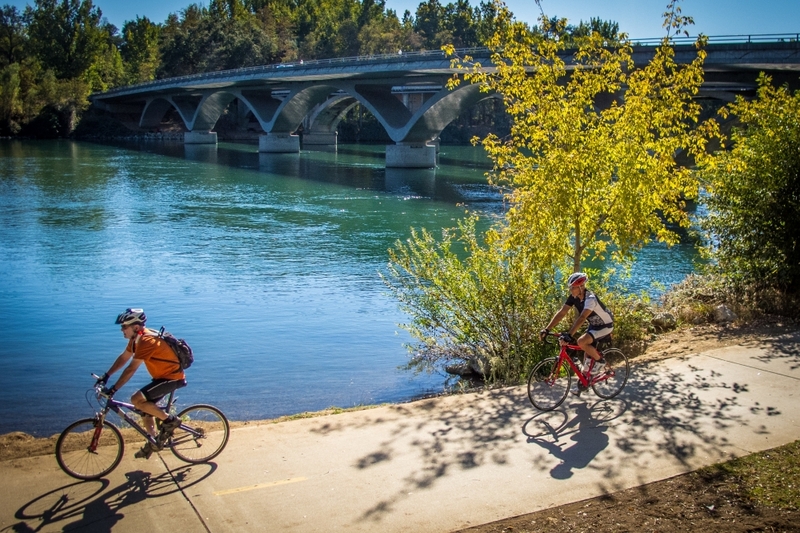 Pathways are graded for ease of access and travel, so you definitely won’t find yourself overwhelmed by the scope of the Sacramento River Trail. However, you’re going to need more time than you think in order to complete the entire 17.4-mile trail, simply because of the number of photo-worthy sights and sounds you encounter along the way. This is your chance to catch sight of five individual waterfalls, all in a single day! Take to Redding’s Waterfall Loop, for an extended introduction to the natural beauty that graces the region. 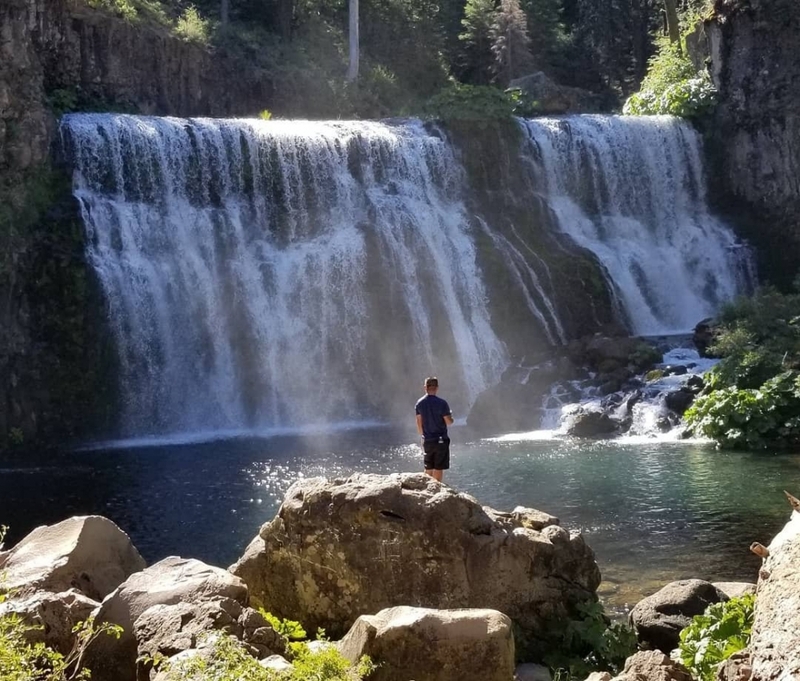 Take your time as you make your way to Lion Slide Falls, Burney Falls, Lower, Middle and Upper McCloud Falls and Hedge Creek Falls, and make sure you bring a camera along to document the journey. Trails are definitively marked to avoid the possibility of getting lost along the way. Enjoy a wide variety of lookout points and peaks, underneath towering pines and a spattering of seasonal clouds. It’s a full day’s worth of adventuring, whenever you get to know The Waterfall Loop in Redding. Take life at a pace most comfortable for your own enjoyment, thanks to a wide variety of local sights and sounds well worth your investment. From natural panoramas to ruins of a time gone by, Redding is prepared to welcome all visitors who are looking for a unique synthesis of culture, history, and recreation. Cross these seven terrific attractions from your bucket list, whenever you find yourself enjoying the pleasant climate and welcoming aesthetic across Northern California! For more destination guides and accommodation reviews, hotels and vacation rentals, check out Trip101.